The dream creme for those who love to look polished, elegant and smooth but hate to work at it. Bumble and bumble Grooming Creme gives your hair texture with flexible hold, leaving it feeling soft and smooth with a polish finish look. This creme is great for moisturising colour treated hair as well as calming coarse, curly and afro textures. Grooming Creme is magic for minimalists or one minute styling. 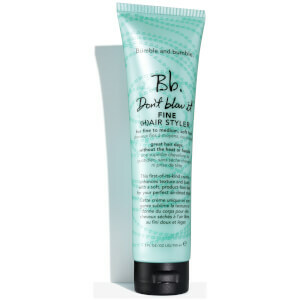 It has a blend of Jojoba, sweet almond, avocado and safflower seed oil giving moisture and sheen to your hair.